What used to be largely considered science fiction is growing ever so closer when it comes to autonomous vehicles. Several automakers including Toyota, Mercedes Benz and General Motors, as well as tech giant Google are working on driverless cars. 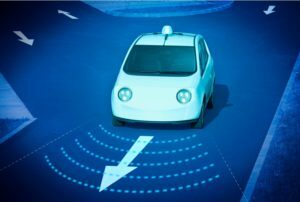 Some aspects of these vehicles can already be seen on cars right now, such as parking assist and crash avoidance systems that use tiny cameras and radar to detect vehicles (or objects) that could be hazards. In addition to these scanning devices, some cars have auto braking systems that will stop the car before the driver may be able to react. While these precursors may be indicators of what is to come, the possible draw for automakers is to tap into what is becoming a growing market of elderly drivers. With many baby boomers turning 65 these days, they are still living active lives even though their physical capabilities are declining. Driverless cars may allow elderly drivers to continue to maintain their independence, which may lead to them living extended lives. Of course, the prospect of driverless cars brings about novel questions about how liability will be resolved in accidents involving such vehicles. Essentially, will those injured in crashes be able to bring suit against a manufacturer of the directional system, or the automaker? This a question that will require a great deal of analysis and policy making in order to get right. Fortunately, driverless cars are not expected to be on the road until late this decade. So policy members have a leg up in creating safety rules.